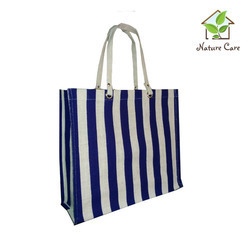 Manufacturer of a wide range of products which include jute laminated bag with stripes print, jute bag with jute self handle, jute bag with one colored print, jute bag with black leather handle, jute and canvas bag and jute bag with cotton self handle. 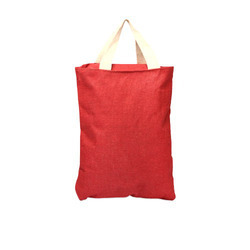 Leveraging by a team of highly creative designers, we have been able to manufacture and supply the finest quality of Jute Tote Bag. 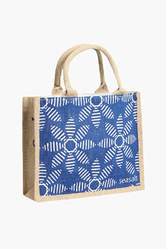 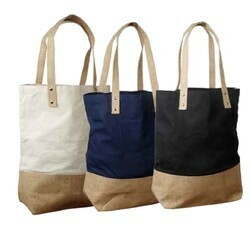 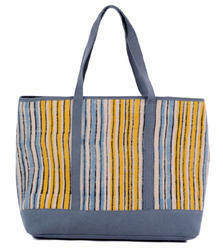 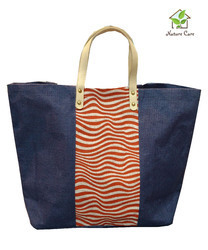 Designed by using advanced equipment, the offered jute tote bag is known for its mesmerizing appearance. 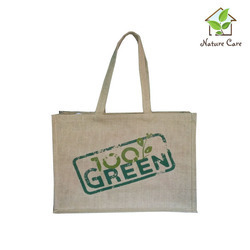 Strong logistic support has helped us in delivering the offered jute tote bags within the stipulated time frame at the patrons’ end. 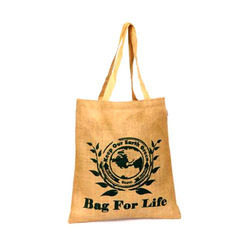 We manufacture, supply and export the best quality of Jute Tote Bag. 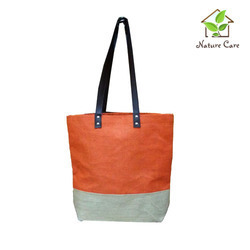 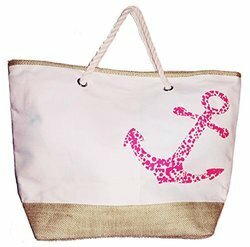 To manufacture and design the offered tote bag in accordance with the prevailing market trends, our team of creative and hardworking designers makes use of the high grade of dyed jute fabric. 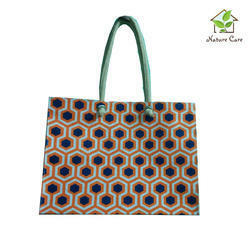 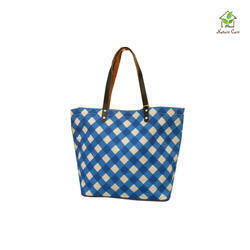 The offered jute tote bag can be custom designed as per the handle type and printing details provided by the patrons.